This is contemporary music from South Africa. Yeah, I know that it mostly does not sound like stereotypical “African” music. The artist is South African born, bred, educated (a 2000 college Performer’s Diploma in Opera). 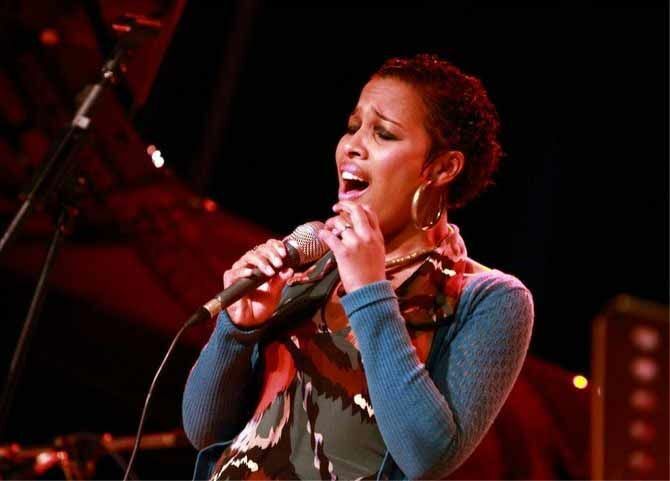 In South Africa she is considered a major jazz vocalist. When I first heard her, before I knew anything about her, I thought “art music,” primarily because the lyrics were highly literate and the music covered a wide range of harmonies and tonalities even as it sounded college radio friendly. Her debut album, Zillion Miles, is featured on the end of the Mixtape as are two, number-one singles. Both “Peaceful Moment,” a smooth jazz oriented composition with guitarist Jimmy Dludlu, - and “Which Way To Go,” with Electronic Dj’s Iridium Project - went to number one on South African radio stations. She has both the intelligence and the chops to do a very wide range of music. My favorite recording I’ve heard is not even her album; she is the featured vocalist on Live In Varanger by the Norwegian band Inkala and supported by The Festival Choir. Ms Scholtz has two recent albums out, Connected and Standards, and I have not been able to get either one through my usual sources, including a couple of South African online sources. Despite most of her recorded music being unavailable to most of us, I’m featuring her anyway because I think what she is doing is both interesting and important. From Inkala’s quasi New Orleans trad line-up with tuba, trombone and clarinet along with trumpet, piano, and drums backed by a wonderfully conducted, multi-voiced choir, to the electro-modern dance selection “Which Way To Go” Melanie Scholtz covers a lot of ground with nary a misstep. It’s easy to hear why she is a feted vocalist in South Africa, the winner of numerous awards, as well as a favorite on the European festival circuit. I was really, really struck by both the sincerity and expertise of Melanie Scholtz’s concert music with Inkala. From the sublime interpretation of Abdullah Ibrahim’s magnificent melody “The Wedding” to the Louis Armstrong associated chestnut “Wonderful World,” I’m crazy about the way this project was both orchestrated and the passion the players bring to their various contributions in both ensemble and in solo. We hear a lot of talk about “world music,” about mixing and matching diverse influences, for me this live album reveals the possibilities inherent in a gumbo approach to cultural development. Unlike a soup, the gumbo has a specific base called the “roux,” which gives the distinctive flavor regardless of the combinations of other ingredients. In this case the rue was jazz and South African music. It’s a tasty treat. Give a listen; I’m sure you will agree.